One year ago, I did a research on world’s most visited one million domains to see which TLDs are used the most. I did the same research today and compared results. Findings of this research are very interesting. Compared to the last year’s research, we can clearly see that domains sorted in “other” are quickly becoming more important and they are taking over a share from all TLDs except .info, which actually grew in year-over-year share. These domains listed as “other” are mostly ccTLDs, such as .co.uk or any other country specific domain. Nice post! 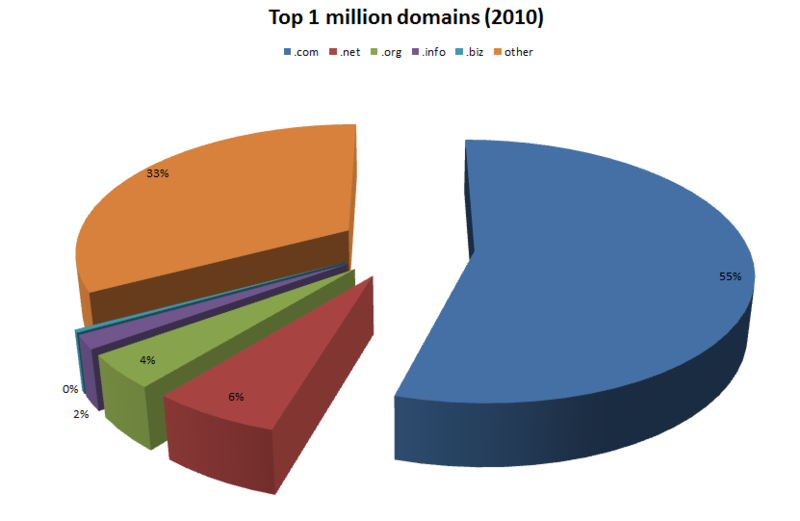 .com is really dominant but other domains has also increased. 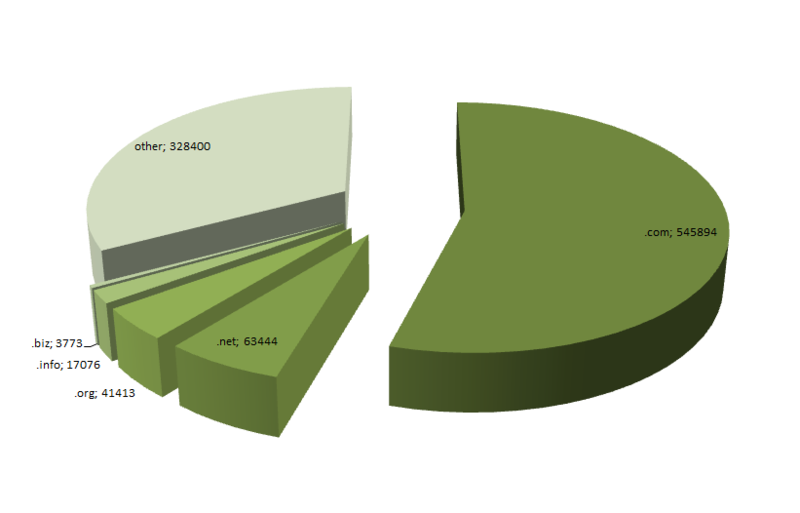 I think that this is mainly because there are a lot of domain names in .com has been taken.